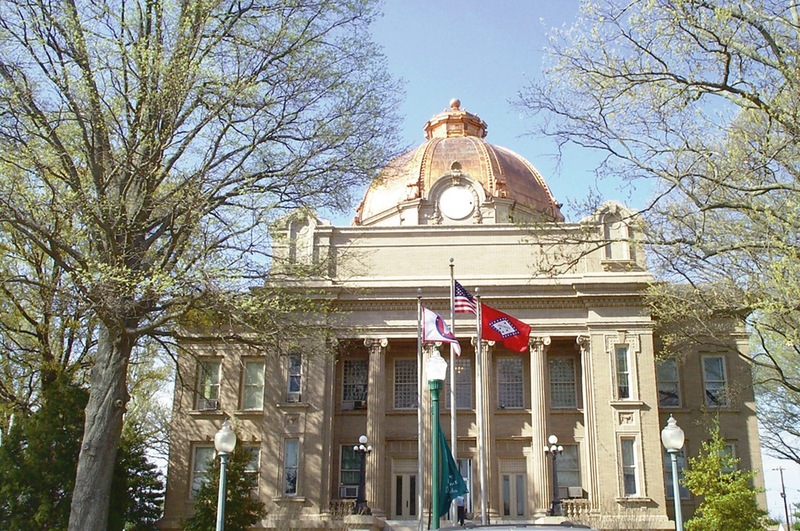 Osceola, one of two county seats in Mississippi County, Arkansas, features a beautiful 1912 Neo-Classical courthouse with a copper roofed dome. Osceola (population 8,875) was established in 1837, making it one of the earliest settlements in this part of the Mississippi River Delta. The community was named for the famous Seminole Indian chief Osceola, who came to the area in the 1830s to explore an exchange of Arkansas land for Seminole land in Florida. Osceola was the original county seat of Mississippi County and remains one of two county seats, after Blytheville was named a dual county seat in 1901. Osceola features a beautiful 1912 Neo-Classical courthouse with a copper roofed dome. The courthouse is bordered by the Hale Avenue Historic District and other structures on the National Historic Register of Historic Places. Visitors will also find the Mississippi County Historical Center located in a 1904 building that once housed a dry goods store. Osceola is famous for its role in the development of Blues music, and many famous Blues musicians either came from Osceola or performed there. To celebrate this heritage, Main Street Osceola has been hosting the Osceola Heritage Festival since 1998. Osceola’s historic preservation program was also launched seven years ago with passage of an historic preservation ordinance. Current projects of the Osceola Historic Preservation Commission include survey work to expand the historic district and a feasibility study for preserving the Borum Building (1902), which is one of the community’s oldest structures.